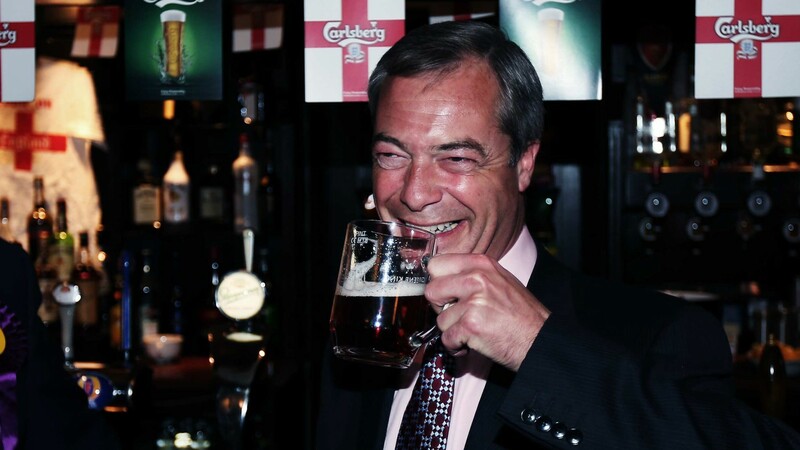 ‘Shut up Nigel Farage’ – You & Ukip Are Damaging The Leave-The-EU Cause. I’ll keep this brief. Nigel Farage is making a speech in London on the EU referendum, and no I’m not going to watch it. Instead, I am going to get back to work doing something else (writing next book). I will make one observation though, having heard Jim Naughtie on the BBC Radio 4 Today programme do a great job of taking Farage apart, and felt myself leaning towards Yes/In the more the UKIP leader burbled on. It is quite simple. If Nigel Farage wants Britain to leave the EU, and he never tires of saying so, though I do wonder sometimes, then he should shut up immediately. If there is a positive, pro-market case for Britain leaving the EU, for retaining a friendly trading relationship with the EU but prioritising trade with the fast-growing parts of the world, then the many millions of voters who need to be persuaded to vote “out” are never going to be persuaded by a figure as divisive as Farage. Some senior Ukippers know this, which is why they tried to remove him when he unresigned following the election. For many voters on the centre-right and centre-left, Farage is positively toxic and they do not want any association with him or his party. Ask anyone who has done focus groups or polling on this and they will confirm it. Farage is socially unacceptable to many of those Britons who might otherwise consider voting to leave the EU. He is the man in the blazer in the saloon bar giving the world his opinion, whether they asked for it or not, about immigration and the way the country has supposedly gone to the dogs since Margaret Thatcher left. This might upset Farage who is a jovial, hard-working, canny operator and demon dog-whistler with a tendency to say terrible things and enjoy the outraged reaction. Still, he ignored media derision and turned UKIP from a joke into a force that won almost 4m votes and 12.6% of the vote in May. Come the referendum, Ukippers will vote to get out. The problem for “out” is that to win a referendum, their campaign needs to get 50.1% of the vote, not 12.6%, which means securing the votes of those who do not vote UKIP and never will. Even the substance of Farage’s attack today – that the “out” campaign isn’t doing enough, so he will go around the country banging the drum – is wrongheaded. Once again, he tries to make it all about him, ignoring the reality that a small group of people behind the scenes have all summer been doing the serious work on strategy, polling and planning. They are very sensibly not charging around shouting. The reason that those running what should become the “out” campaign have not gone full-throttle against Cameron, demanding it is a “no” regardless of the renegotiation, is that reasonable voters want, as much as they care at the moment (not a lot), the renegotiation given a proper shot. Reasonable people and middle-ground voters will decide this referendum, just as they decided the result of the general election. And they do not care much for the UKIP leader. I have a solution that will play to Farage’s strengths. He should organise a lock-in in his favourite pub, with no media invited, and stay there until the morning after the referendum.